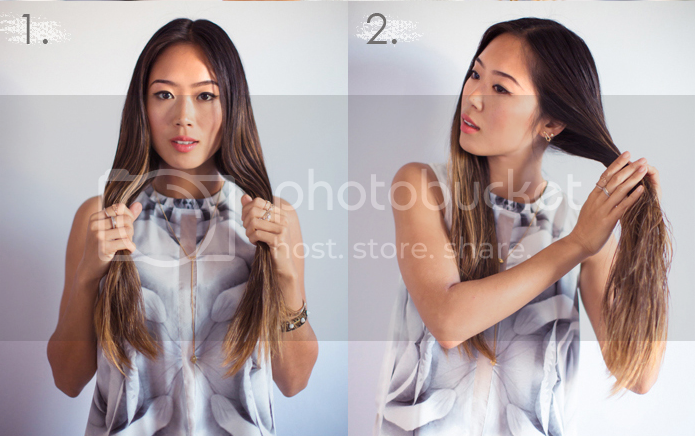 One of our favorite style blogger Aimee Song from Song's of Style shows us how to create natural beach waves without using any heat. 1. Part your slightly damp hair into two sections (right and left and start twisting from the root to all the way to the end of your hair. Make sure you twist well. 2. 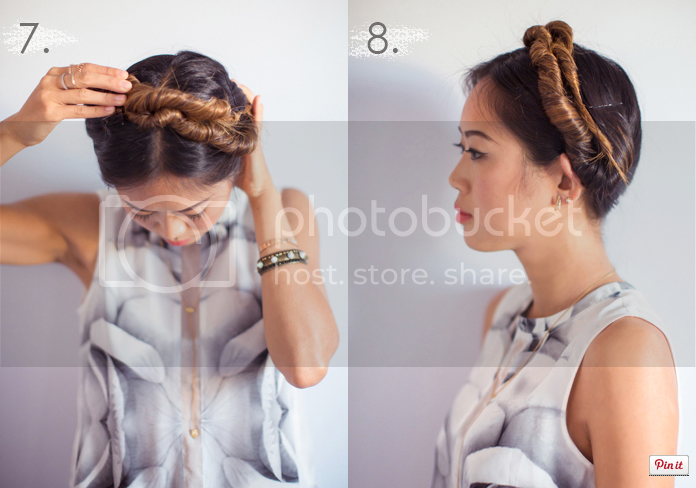 Using a bobby pin, pin the end of your twisted hair to the crown of your head. 3. Twist the other side of your hair in the same direction. 4. Let your hair dry naturally overnight and in the morning, unpin the ends. Shake your head and pretend to your in a shampoo commercial, and voila! You got waves! If you'd like to hold the waves, top off the look with a lightweight hairspray. This is super cute and easy! Thanks for the great and easy tutorial. Fashionation's objective is to provide the contemporary women with a guide of the world's leading designers. fashionistas, photographers, and creatives all together bring the best fashion, and latest trends from around the world. A fusion of fashion, lifestyle, and culture gives you an image of the women of today.